On Saturday October 6, 2018 at 1300 hours, The Woolwich Fire Co sponsored an open house at their station to promote this years Fire Prevention Week. The Woolwich Fire Company opened their station for all to visit and meeting the stations firefighters. 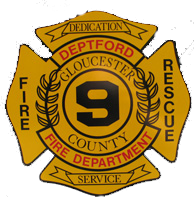 Visitors were given fire prevention materials, given tours of the fire apparatus, the kids were permitted to hose down a wooden fire in windows of a simulated house and The Gloucester County Fire Marshal’s Office had their smoke simulator trailer on location for people to crawl through. Tower 926 was set up in the middle of their parking lot. Thanks to the Woolwich Fire Company for your hospitality during our visit.